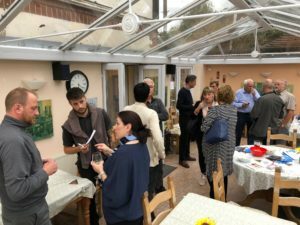 We’ll be running the usual format of informal networking over complimentary drinks and snacks and there will be a brief presentation by a local business owner on a business subject. It is a friendly and informal event and everybody will get the opportunity to introduce themselves and their business and entry is FREE! Don’t forget to bring your business cards or other promotional items you may wish to make available to the group to help promote your business. The meeting is open to non-members, so if you are a member feel free to bring any non-member business guests that you’d like to introduce to the LBA. Or, if you are new to the LBA, come along tell us about your business, get to know us and learn about what LBA membership can offer you. For more details on the Lightwater Business Association, our events and to ensure you take advantage of being listed for FREE / or to upgrade to full membership (only £45.00 per year per business) visit our Membership page. We look forward to seeing you on Monday 13th May!